One Browser for all Samsung Galaxy devices. Samsung Internet for Android is a simple, fast, and reliable web browser for your phone and tablet. It has replaced the stock Android browser on Samsung Galaxy devices since 2012, to provide a browser highly optimized for our devices. Samsung Internet for Android, the best browser for Galaxy devices. Continuously evolving to provide you with the best browsing experience. Version 6.4 introduced download UI improvements and made Web Bluetooth available without a flag. Version 6.2 made Samsung Internet available to all phones running Android 5.0 and above for the first time. Samsung Galaxy devices come with innovative technologies that change ordinary tasks into extraordinary experiences - bio sensors, virtual reality, and Samsung Pay, just to name a few. Samsung Internet for Android lets you continue the extraordinary experience in the web space. One of our latest additions, the iris scanner can now be used as a user authentication method in Samsung Internet for Android - adding a more secure and simpler option for 'web auto login' and 'secret mode'. Samsung Internet for Android also tries to utilize the underlying hardware in the most efficient way, resulting in prolonged battery time and better touch responsiveness during web browsing. To Samsung Internet for Android, support for the various Galaxy modes and advanced S Pen is a matter of course. Separate business and personal life or safely share your browser with your friend, using Secret Mode! Secret Mode is accessible only after user authentication, and never reveals your browsing data (including browsing history, search history, cookie, cache, ID/password, auto-fill data). In addition, Secret Mode stores bookmarks and saved pages in a separate space with encryption, using the same level of security as Samsung KNOX. You can choose to use iris or fingerprint authentication when entering Secret Mode for higher security. To enable Secret Mode, tap the ‘Tabs’ icon in the bottom right corner and select ‘Turn On Secret Mode’. Our content blocking extensions free your web pages from unnecessary contents to provide you with less visual clutter. Content blocking extensions may even reduce your data usage, speed up loading time and reduce battery usage. This technology enables extensions to better control your online privacy and detect malicious web content as well. Samsung Internet does not provide the contents blocking filters. Separate apps for such filters need to be installed. 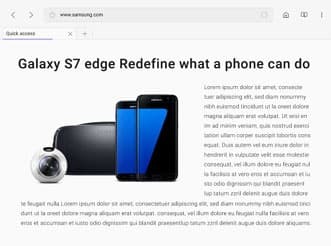 Starting from Samsung Internet for Android 4.2, you can also use web content provider extensions to let your favorite content providers recommend web contents that might interest you. This will let you access interesting contents from your favorite web sites more easily. Separate apps need to be installed in order to enable the web content provider feature. Samsung Internet for Gear VR lets you enjoy web contents (including streaming video and 3D video) in an immersive environment, as if you were at the theaters. Samsung Internet for Android and Gear VR share bookmarks and video history list, letting you access your favorite web contents more easily. Samsung Internet and Samsung Internet Beta will be updated regularly through public app markets - Google PlayStore and Samsung Galaxy Apps. Upgrade may be limited to certain device models and operating system versions. As of October 2017, upgrade to Samsung Internet 6.2 via app markets is available for all phones with Android 5.0 and above. Upgrade to Samsung Internet 5.4 via app markets is available for Samsung Galaxy and Google Nexus and Pixel phones with Android 5.0 and above. Samsung Internet for Android provides features for increased privacy and security, features for letting users browse to web in a more convenient and easy way, multimedia related features that also let users access videos easily in Samsung Internet for Gear VR, and features that let users access your web sites as if they were native applications. Samsung Internet for Android takes user privacy and security seriously. Secret mode and fingerprint authentication can be used for higher security. From Samsung Internet version 7.x onwards, Protected Browsing provides protection from malware and phishing websites. Malware sites contain code to install malicious software. Phishing sites pretend to be legitimate websites in order to steal private data such as passwords. Protected Browsing warns if you are about to visit a website that contains malware or phishing content. This feature uses the Google Safe Browsing (GSB) service, using hashed URLs for security and privacy. Enabled only under user authentication, Secret Mode never leaves a trail of your browsing data (such as browsing history, search history, cookie, cache, ID/password, and auto-fill data). In addition, Secret Mode stores bookmarks and saved pages in a separate space with encryption, using the same level of security as Samsung KNOX. You can choose to use iris or fingerprint authentication when entering Secret Mode for higher security. Secret Mode is available in Samsung Internet for Android 4.0 and above. 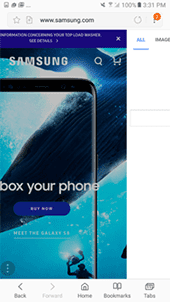 Samsung Internet for Android is the sole browser that offers login using authentication with biometric sensors such as iris and fingerprint scanners. On devices equipped with iris or fingerprint scanners, Samsung Internet for Android provides a simpler but more secure way for users to login to sites. KNOX is the enhanced mobile security suite provided by Samsung for your business and personal life. Samsung Browser for KNOX incorporates organizational security policies to provide control for web access. Samsung Internet for Android provides interesting features to make your everyday internet browsing more entertaining and convenient. Since Samsung Internet for Android version 5.4, it is now possible to swipe between tabs. When you have multiple tabs open, swipe left or right on the URL bar or the bottom toolbar to navigate to your previous or next tab. Samsung Internet for Android version 5.4 introduces a new Quick Menu, enabling fast access to useful features. Tap the Quick Menu button on the bottom left corner of the screen and the options will be revealed. To enable the Quick Menu, visit MORE -> Extensions -> Quick menu. 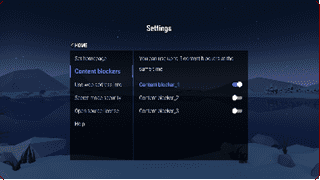 Samsung Internet for Android version 5.4 and newer versions include a Content Blocker Status UI in the menu. When you have Content Blocker extensions enabled (see below), the menu will report how many items have been blocked on the current page. It also provides the option to easily view the current page without content blocking. 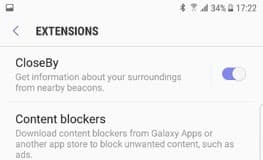 Since Samsung Internet version 7.2, on Samsung devices, users can now install Content Blockers directly through the Samsung Internet menu, for added convenience. Samsung Internet version 6.4 introduced download UI improvements. Users can now rename files before downloading them and control downloads directly in the notification UI as well as the Download History page. Starting from Samsung Internet 5.0, developers and merchants can provide an easier and more secure payment experience to users with support for the W3C standard Payment Request API. The Payment Request API enables developers to easily configure an optimized checkout form. Users are able to securely save their credit card and shipping details ready to quickly re-use on other supporting websites they visit. On devices equipped with fingerprint and iris scanners, these capabilities provide secure biometric authentication. 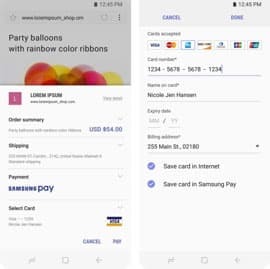 Starting with Samsung Internet for Android 5.2, Samsung Pay is now supported as an online checkout option, subject to availability by location. Samsung Pay now supports Web Payments via the Payment Request API standard. Samsung Pay is supported as an online checkout option from Samsung Internet for Android 5.2 onwards. Samsung Pay support for this feature is subject to availability by location, starting in the US. Samsung Internet 5.2 and later versions enable developers and content providers to connect their users to their real world information and offerings, via physical beacons. While enabled, you can receive silent notifications when nearby Physical Web beacons are detected. You can also manually scan by tapping CloseBy on the Extensions menu. Physical Web supports Bluetooth beacons broadcasting with the Eddystone-URL format. Samsung Internet is now optimized for desktop browsing, providing better productivity on the web. With Samsung Internet 5.2 and later, on Galaxy S8 and later models, a big screen browsing experience is enabled when docked with DeX. DeX also enables a new desktop shopping workflow. When presented with the option to pay for something in the browser in desktop mode, you can use biometric authentication to finalize the payment, using the fingerprint or iris scanner capabilities of the phone. As one of the default homepages for Samsung Browser, the Quick Access page enables users to visit their favorite sites with a single click. The default listed sites are selected based on countries, carriers, etc to provide users with a more intimate experience. 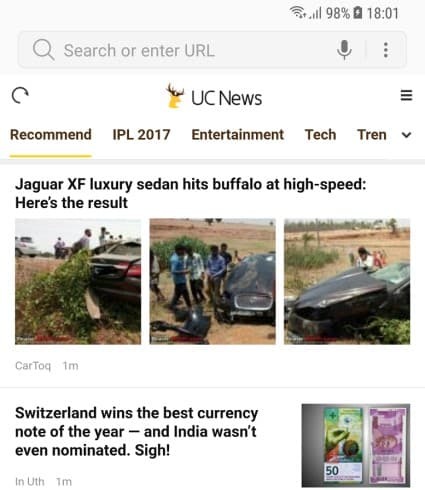 Starting from Samsung Internet for Android 4.0, Content Cards are shown in the Quick Access page, and can be used to dynamically recommend your web contents to users. With Content Cards, users are able to access useful and interesting contents more easily. Please contact browser@samsung.com if interested in providing Content Cards for your site. * Currently available in Korea and China. We provide a mobile friendly version of the well-known regional ‘Top Sites’ page. This page can be set as the homepage to provide users with easy access for fun and useful sites. * Currently available in China and India. 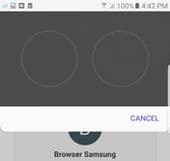 Users can sync Open Tabs and Bookmarks with other devices through Samsung or Firefox accounts. When using Samsung accounts, Saved Pages will also be synced. Tired of reading cluttered articles? Reader Mode presents articles in a simple layout to make it easier to read. Saved Pages stores web pages on your device so you can check them at your convenience, even when your device is offline. 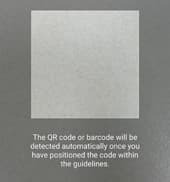 Starting from Samsung Internet for Android 4.2, the QR Code reader previously supported in selected countries is globally available. Handy SPen features available on Galaxy Note devices can be used for easy scrapping or sharing of web contents. Samsung Galaxy devices provide an ultra power saving mode and emergency mode for prolonged battery life. Battery power is saved by applying a simplified grayscale theme and limiting the number of usable apps. Samsung Browser is the only web browser that can be used in these modes. 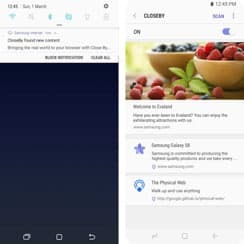 For Samsung devices with Ultra Data Saving (UDS) mode and “Opera Max for Samsung” pre-installed, the Ultra Data Saving UI displays how much data has been saved by Samsung Internet. This feature is available on supported devices globally, from Samsung Internet v7.2. For those who require increased contrast to view webpages more comfortably, High Contrast Mode can be enabled in the Accessibility settings, starting from Samsung Internet v6.2 beta. Night Mode reduces the amount of bright light from your phone, making reading more comfortable in darker conditions. Night Mode can be enabled in the menu, starting from Samsung Internet v6.2 beta. Samsung Internet for Android provides features that let users access and enjoy streaming audio and video content in a more convenient way. Users can view online videos in a popup window so they can browse the web while playing videos. Popup videos are supported when your HTML5 Video uses the Samsung Internet for Android default control. Popup Video is available from Samsung Internet for Android 4.0. Samsung Internet for Android 4.0 manages a separate history list for online videos. Users can revisit videos more easily with the video history list. 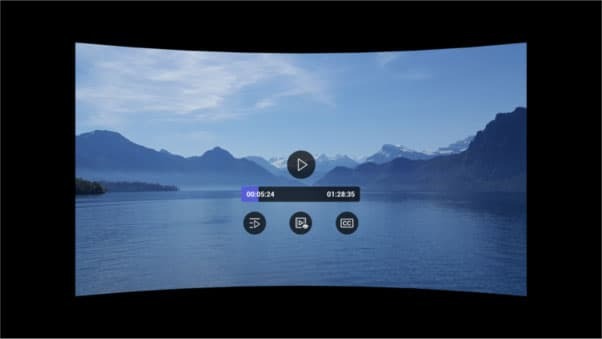 This list is also shared with Samsung Internet for Gear VR (version 1.0 and above) so users can view their favorite videos with a single click, in a more immersive environment. With the Video Assistant introduced in Samsung Internet for Android 4.2, users can easily switch between the various viewing modes. The floating Video Assistant controller appears when the user starts playing an online video. Users can watch spherical 360˚ videos online with Samsung Internet for Android 4.2. Here are some features provided by Samsung Internet for Android that will let web pages act more like native applications or let applications show web contents more smoothly. 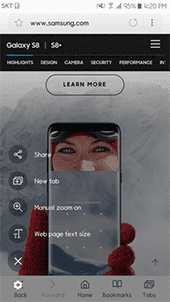 Samsung Internet 5.2 and later versions use the dynamically changing ‘+’ icon in the URL bar to indicate that the loaded content is a Progressive Web App, to help users easily install it on their home screen. In addition to the ‘+’ icon displayed for Progressive Web Apps, Samsung Internet displays an ‘Add shortcut to home screen’ banner, for Progressive Web Apps frequently visited by the user. This enables users to launch and explore web applications from their home screen, as if they were native applications. Applications needed to use Android WebView or launch external web browsers to let users view web contents. Starting from Samsung Internet for Android 4.0, you can use Custom Tabs in your app to use Samsung Internet for Android in a more integrated way when showing web contents. 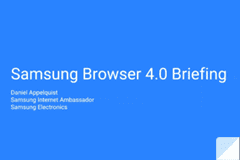 Starting from version 4.0 Samsung Internet for Android supports W3C Push API. Your web sites can give push notifications to users just like native applications. You can use the W3C Service Workers API in Samsung Internet for Android 4.0 and above. 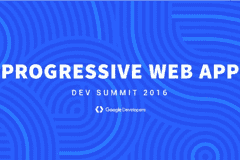 The Service Worker API allows you to develop web apps that work offline-first and support background processing. Since version 6.4, Samsung Internet supports Web Bluetooth without a flag. With the user’s permission, Web Bluetooth can enable web applications to communication with other devices using Bluetooth Low Energy. 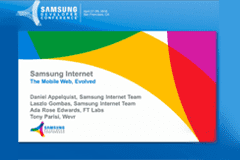 Starting with version 7.x, Samsung Internet supports Web Assembly. Web Assembly allows client-side web code to be written in multiple languages and execute at near native speed. 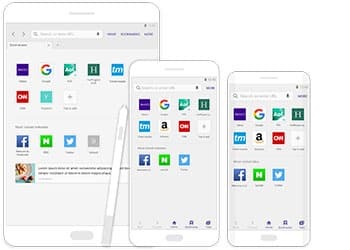 Samsung Internet for Android provides extensions so users can utilize useful services for a more pleasant browsing experience. 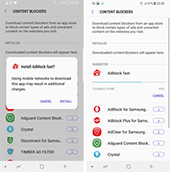 Starting from v6.2 stable, Samsung Internet for Android includes a built-in Tracking Blocker extension, powered by Disconnect Inc. The Tracking Blocker protects you from invisible trackers that some websites include to monitor activity across websites. The Tracking Blocker is turned on by default in Secret Mode. Starting from 4.0, Samsung Internet for Android allows 3rd party apps to provide filters for Content Blocking. You can let users browse the web without unnecessary content cluttering their screens. Supported from Samsung Internet for Android 4.2, Web Content Provider lets 3rd party apps suggest interesting contents to users. Don’t let your users miss viewing your useful contents! It’s a small world, but we still have our differences! Samsung Internet for Android tries to understand local trends and cultures, and provides features that let users access their favorite sites more easily. In addition to Quick Access page being customized to reflect regional preferences, we are consistently trying to better understand our users and support region specific features when necessary. Please send an e-mail to browser@samsung.com for technical support or inquiries about business collaborations. Samsung Internet for Gear VR lets you browse the web and enjoy contents in an immersive environment. Browse the web on a big screen, just as if you were at the theater. 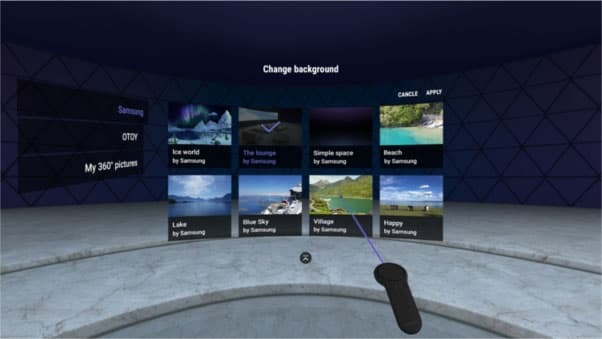 In the first official version of Samsung Internet for Gear VR, the overall UX design was changed to adopt merits of existing PC and mobile browsers. Consequently providing more familiarity to, and reducing dizziness of users. Moreover, a curved UX which is applied to the new version of Samsung Internet for Gear VR makes the screen look fancier. Now Samsung Internet for Gear VR 5.6 brings more convenience and immersion to you. One of Samsung Internet’s main goals is to provide better integration among various Samsung devices. Following that goal, Samsung Internet for Gear VR provides features such as a continuous experience when switching to and from Samsung Internet for Android and synchronized Video History. 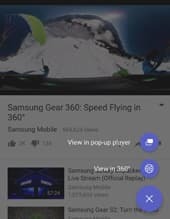 Connecting Gear VR to your mobile device with any web page or Full screen video open on Samsung Internet for Android will let you continuously view the same content using Samsung Internet for Gear VR. Samsung Internet for Gear VR provides several features to make your VR web browsing easy and intuitive. DLNA support allows users to stream their video and image files from DLNA media servers into the Samsung Internet for Gear VR. DLNA Media Servers will be shown in a channel named “Networks” menu. Secret Mode enables a more private browsing experience with PIN number protection. The webpages you’ve saved or viewed in secret mode won’t be shown when you turn it off. In addition, Secret Mode stores private bookmark, video history, and search keywords in a separate space. Content blockers free your web pages from unnecessary content and provide you with less visual clutter. Content Blocking may even reduce your data usage, speed up loading time and reduce battery usage. Samsung Internet for Gear VR does not provide the content blocking filters. Separate apps for the filters need to be installed. Samsung Internet for Gear VR provides trending and recommended videos based on Featured Media content. When watching Featured Media in fullscreen mode, related videos will appear on the right hand side to aid the user in discovering new content to enjoy. Samsung Internet for Gear VR provides trending video content that will be updated daily. Access hundreds of videos organized for you by content providers, including 360 videos. You can also enjoy 9 featured videos from the main page. Samsung Internet for Gear VR provides you a familiar experience with the same helpful features as Samsung Internet for Android such as Quick Access, Bookmarks, and Tab Manager. Use the import button to bring the bookmarks from Samsung Internet for Android to Samsung Internet for Gear VR. Samsung Internet for Gear VR manages a separate history list for online videos allowing users to revisit videos more easily. The mode each video was viewed in is also saved so users don’t need to select the viewing mode again. 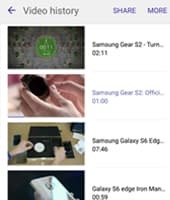 The video history list from Samsung Internet for Android is synced in a separate list for easy access in Samsung Internet for Gear VR. The floating Video Assistant available on Samsung Internet for Android is also in Samsung Internet for Gear VR. Visible while playing videos, Video Assistant lets you switch viewing modes more easily. You can browse and open local images and videos stored on you mobile device with our file explorer. When viewing these files in fullscreen mode, you can select the proper viewing mode for optimal enjoyment of your content. Samsung Internet for Gear VR comes with USB OTG support. Users can connect their USB storage to Gear VR and view content saved on it right from our web browser. To make text input intuitive and easy, Samsung Internet for Gear VR provides an on-screen keyboard and voice input. Starting from version 4.2, Samsung Internet for Gear VR has multi-language support. The language can be changed from the Settings menu on the on-screen keyboard and special characters can be input by long-pressing keys. Samsung Internet for Gear VR supports Bluetooth devices including the Gear VR controller so users will have more options for convenient input. 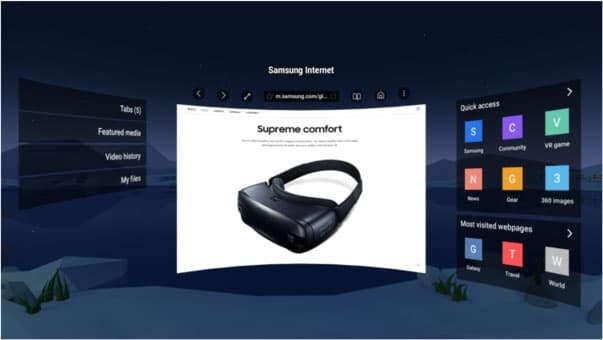 By connecting Bluetooth devices to your Galaxy device and launching Samsung Internet for Gear VR, you can browse the web more easily in the VR environment. In version 5.2, support for the Samsung Gear VR controller has been added so users with the controller can click and scroll easily. The Gear VR controller offers better interaction with Samsung Internet for Gear VR by providing an intuitive and immersive experience. Samsung Internet for Gear VR lets you enjoy the web in any position you prefer. Whenever you look at a blank space, the “Tap touchpad to reposition screen” message will appear, and you will be able to reorient the screen by selecting the message. Moreover, you can reorient the screen by double clicking Gear VR “Back button”. Now that you can always align Samsung Internet for Gear VR’s screen to your focus, you can even use it while lying down. Just like other Gear VR content, you can enjoy videos from the web in an immersive environment. Watch any HTML5 video from the web on a mega sized screen. The Video Controller of Samsung Internet for Gear VR is launched when users select fullscreen mode for videos. Press the ‘Mode’ button to select the type of video you are watching. Watch spherical 360˚/180˚ videos uploaded to websites. Get absorbed into any 360˚/180˚ content online. Take virtual trips to whenever and wherever! Samsung Internet for Gear VR supports streaming side-by-side 3D videos. You can enjoy all 3D videos on the web in a virtual theater. Starting from version 4.0, Samsung Internet for Gear VR supports Streaming 3D 360˚ videos. Experience increased realism with 3D and 360˚ combined! For HTML5 videos with the dimension parameter defines, Samsung Internet for Gear VR will play the video without prompting the user for Video mode selection. Samsung Internet for Gear VR supports HTML5 Fullscreen mode. 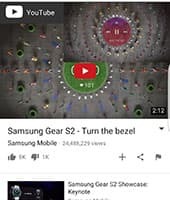 When viewing images in Fullscreen with Samsung Internet for Gear VR, users can switch to viewing modes supported for Videos. Try out this feature with your 3D or 360˚ images! 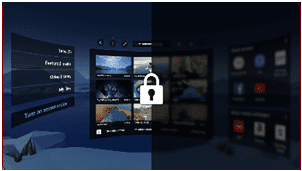 Samsung Internet for Gear VR lets web content change the skybox – which is the background image or images surrounding the VR user space. Users and web developers can choose the best skybox that goes with the content to get a more immersive experience. 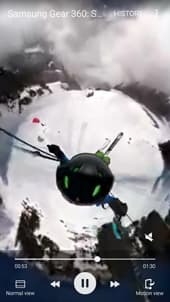 In addition, starting from version 5.2, users can also set the default skybox to their images taken with your 360 camera such as Gear 360. Samsung Internet for Gear VR will automatically detect web pages that use the WebVR API when they are loaded, and prompt users to enable WebVR when the page is loaded. You can also enable or disable WebVR from the “Labs” menu. Samsung Internet for Gear VR is available for download in the Oculus Store. Galaxy Note 4, Galaxy S6, Galaxy S6 edge, Galaxy S6 edge+, Galaxy Note 5, Galaxy S7 , Galaxy S7 edge, Galaxy S8, Galaxy S8+ and Galaxy Note 8 with Gear VR. Q01 How can I get customer support for Samsung Internet on Galaxy devices? You can send user feedback by selecting [MORE] -> [Send feedback] menu in Samsung Internet for Android. 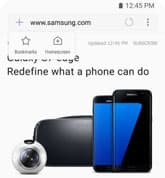 Or go to https://help.content.samsung.com/csweb/ticket/createQuestionTicket.do and select 'Internet for Samsung Galaxy'; in the 'Service' field. Q02 How can a get the latest Samsung Internet for Galaxy devices? Install “Samsung Internet for Android” from Google Play. As of March, 2016, upgrade to Samsung Internet for Android 4 through app markets is supported for Galaxy S7+, S7, Note5, S6 Edge+, S6 Edge, S6, S6 Active, Note4, S5, S5 Neo, S5 Active, S5 Sports, S5 LTE A, Note3, S4, S4 Duos, S4 Active, S4 LTE A, A7, A8, A5x, A7x, and A9xwith Android 5.0 and above. Samsung Internet for Android 4 is also included in the over the air upgrade for Android M OS. Upgrade for more Galaxy devices via public app markets will be supported in the near future. Q03 How can I check the version of Samsung Internet on my Galaxy device? The version info can be checked through [MORE] -> [Settings] -> [About Internet] menu. For versions that do not have that menu, you can check the version by looking at the App info for “Internet” in Android Application Manager. Speakers: Hyo Jung Song, Daniel Appelquist, Laszlo Gombos. Speakers: Mahesh Kulkarni, Peter O'Shaughnessy. Speakers: Alban Donoyel - Sketchfab, Laszlo Gombos, Damon Hernandez – Samsung. The Samsung Internet effect: How to best implement your users’ web experience today. 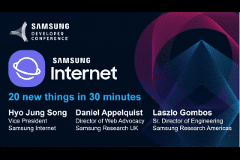 Speakers: Daniel Appelquist, Samsung Internet Ambassador, Samsung Ada Rose Edwards, Developer, Financial Times Tony Parisi, VP, Web and Open Technologies, Wevr Samsung Internet for Android is a simple, fast, and reliable web browser for your galaxy phone and tablet. What you might not know, is that also allows you to enjoy immersive VR content created for Gear VR. In this session, you will learn about the engaging new web technologies Samsung Internet offers your business and customers. How to best implement your users’ web experience today. Are you ready for today’s WWW? Many companies are still sitting and waiting for the latest web technology to go main stream. Why wait? Get started with Samsung Internet today! Today's modern web is available in most Samsung devices spanning wearable, mobile, desktop systems, and High Definition televisions. 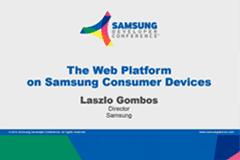 This session explores how Samsung makes the Web Platform available to developers and deep dives into areas of the Web Platform that Samsung is focusing on, giving insight into standardization, open source contributions, and product development. The unassumingly named Samsung Internet browser has been making great strides this year. Statcounter data show it being the third most popular mobile browser in Europe and the USA. Samsung have a strong commitment to progressive web apps stemming from their leading participation in some of the key standards work. 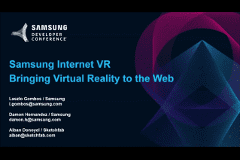 Daniel Appelquist & Jungkee Song take you through Samsung's approach to implementation of the progressive web app stack as well as some of the other areas they're pushing into such as WebVR & enhanced user privacy.